In our guide to New York martial arts, we'll list a large selection of studios throughout the state that offer classes in karate, Jiu Jitsu, and other martial arts! Become a martial arts master after you take any of these great martial arts classes in NY! In our complete guide to New York jiu jitsu, you'll find all the coolest and most informative martial arts classes, so you can learn jiu jitsu in New York from some of the most topnotch professionals in the business. If you're looking for the best karate New York has to offer, let Fun New York lead the way! 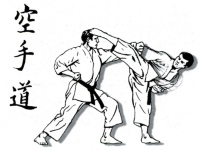 We have listed all types of karate classes in NY, including classes that are designed for both adults and children. Enjoy kickboxing in NY at a variety of great gyms throughout NYC and other parts of the state! Find out why kickboxing has been taking this country by storm.